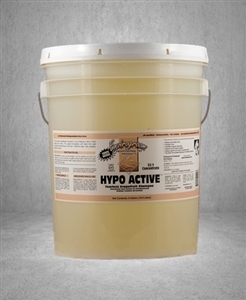 Hypo Active Shampoo by Envirogroom is truly great hypoallergenic shampoo that is non irritating to skin in both animals and humans. The special formulation will clean the coat thoroughly while soothing dry, itchy skin. Great for dogs, cats, puppies and kittens. Works great with bathing systems and safe to use with flea control drops. Plant derived shampoo base, Aloe, Jojoba, Burdock Root, Panthenol, Vitamin E, Soy protein, Grapefruit seed oil.